Said was born in Mostar, Bosnia and moved to VT when he was 4. Said's “real” job used to be as a Network Coordinator/Instructor at Vermont Panurgy but is now pursuing a degree in Exercise Science at UVM. Gosto played for Nordic from U9 to U18 and also played for Essex Varsity High School, winning a State Championship in 2011. 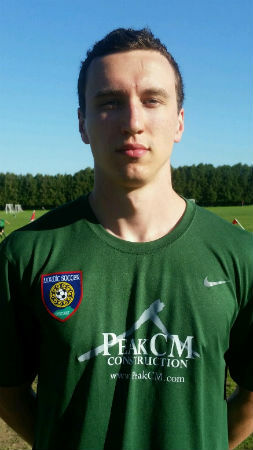 Said has played for several Vermont Men’s league teams and will continue to play at the club level for UVM. Fun fact - his uncle played as a goal-keeper for his hometown club FK Velež. United States Soccer Federation "F" license.